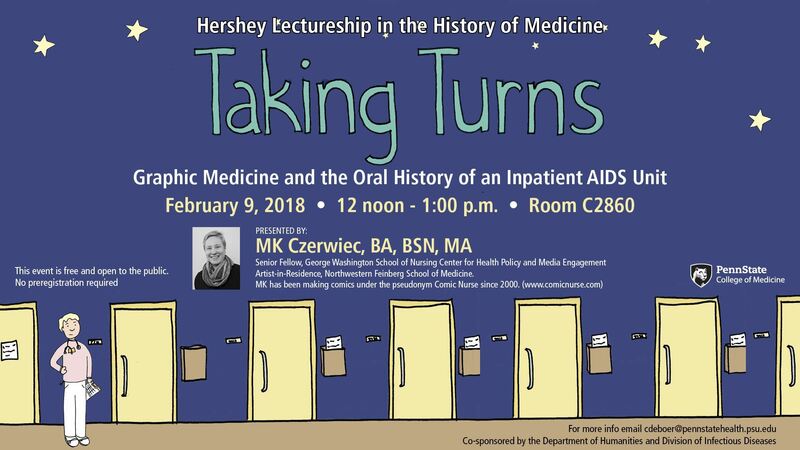 Our Next Hershey Lectureship in the History of Medicine is titled Taking Turns: Graphic Medicine and the Oral History of an Inpatient AIDS Unit. February 9, 2018 at noon in Room C2860. Presented by MK Czerweic, BA, BSN, MA.